The Toyota Land Cruiser is a three-row SUV and an icon. It's also one of the longest-running nameplates, a model that dates back to the 1950s and has evolved into a plush, but still highly-capable, SUV with three rows of seats. With the Land Cruiser, Toyota has evolved the little truck (lovingly called the "Land Bruiser") into a luxury SUV without leaving behind its off-road capability. The larger Sequoia helped it along; space, comfort, and towing all fall better under its purview to leave the Land Cruiser to do what it does best. Still offered globally with myriad powertrains, the Land Cruiser has spawned a smaller Land Cruiser Prado model in many markets, versions of which are sold in the U.S. as the Toyota 4Runner and Lexus GX 460. 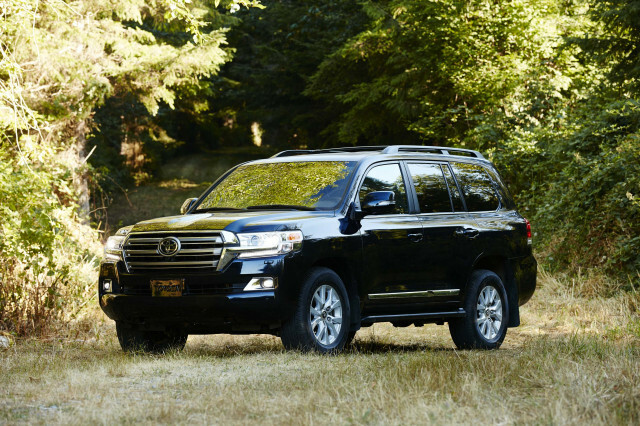 The Land Cruiser was updated for 2016 with a new look, more technology, and an 8-speed automatic. For 2018, the rear-seat entertainment system that was standard became optional. No changes were made to the Land Cruiser for the 2019 model year. The current Land Cruiser, introduced for 2008, is slightly larger than the previous version. 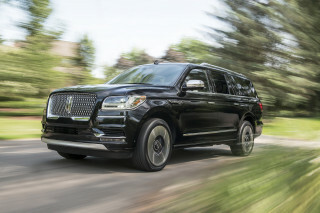 Compared to the last generation, it also received a big power upgrade, with a brawny 5.7-liter V-8 making 381 horsepower and 401 pound-feet of torque, and tied to a 6-speed automatic transmission. This powertrain felt strong in highway passing, or even when towing, and the 8-speed automatic added for 2016 made it more responsive. Fuel economy remains 13 mpg city, 18 highway, 15 combined, even with the 8-speed. The four-wheel-drive system includes a low range, of course, as well as a locking center differential, a host of electronics to keep everything in line, and lots of ground clearance. A Kinetic Dynamic Suspension System stiffens the anti-roll bars when on the road, but can loosen the setup for more wheel articulation when off-roading. Inside, this Land Cruiser doesn't feel downright lavish, but it has plenty of space to sprawl out and Toyota did a great job keeping wind and road noise at bay. Fit, finish, and materials were initially a little questionable in places, especially considering the $70,000 price tag, and the third row doesn't fold flat into the floor; instead, each seat swivels to the side, where they take up what would otherwise be usable cargo space. They do come out of the truck with a little more effort, however. In 2010, Toyota upgraded the audio and infotainment systems and added a suite of safety systems. Then a refreshed Land Cruiser, with cosmetic changes inside and out, arrived for the 2013 model year. 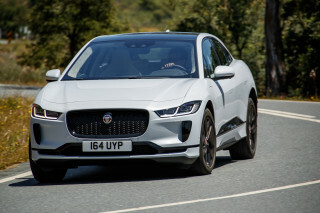 It was largely the same as the model that was introduced in 2008, though some upgrades brought modern connectivity to its infotainment system. A revised front end incorporated LED daytime running lights, and new panels beneath the bumpers offered better underbody protection. Toyota added previously optional equipment like a center-console cooler to the standard-features list while also adding heated second-row seats, a new information display, voice activation, Bluetooth connectivity, and a rear DVD system. Toyota made some significant changes to the Land Cruiser for 2016. 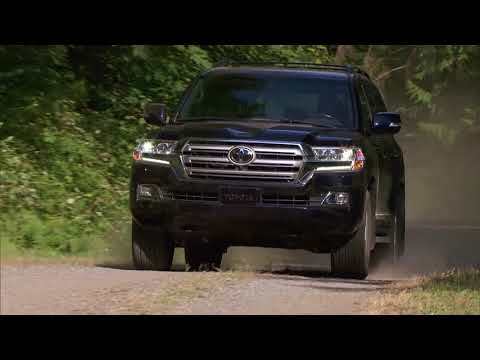 In addition to the new 8-speed automatic transmission, the Land Cruiser adds a suite of active safety features, including an automatic braking system with pedestrian protection, lane-departure warnings, automatic high-beam headlights, adaptive cruise control, and blind-spot monitors with rear cross-traffic alerts. This current Land Cruiser also features a version of the Entune system paired with hard-drive-based navigation; Entune links to a cellphone, using its connection to access apps like Pandora and Facebook on the built-in touchscreen. Proven for decades in tough environments from desert to mountains and tundra, the Toyota Land Cruiser has forged a well-deserved reputation for hardiness, reliability, and longevity. Toyota markets the Land Cruiser as being engineered for 500,000 miles, none of which are traveled on-road and it's easy to believe. 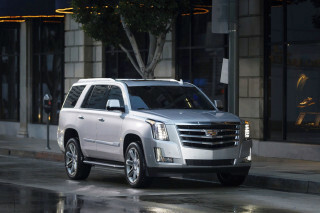 Modern models add luxury to the inherent capability that has been a fixture. Although Land Cruisers tend to last a while, the third-generation models that were sold through much of the 1990s are the oldest ones you're still likely to see at a standard car lot. Earlier versions had a 155-hp, 4.0-liter inline-6 that struggled at highway speeds, whereas the 212-hp, 4.5-liter inline-6 that followed it was a marked improvement. During this time, Toyota also phased out the old manual-locking 4WD system, which required the driver to get out of the vehicle and lock the hubs one by one, and phased in a full-time system. All of these models are a little more stark inside than you might expect, with a very simple layout and interior noise levels that are much higher than those of today. Cashing in on the SUV boom of the late 1990s, Toyota rebadged its flagship as the Lexus LX, a model that continues today. A 1998 redesign of the Land Cruiser included the fitment of a new V-8 engine. Displacing 4.7 liters, the engine was initially rated at 230 hp and it sent power to all four wheels via a 4-speed automatic. A refresh for the 2003 model year brought a revised look inside and out plus a 5-speed automatic. Subsequent updates boosted the 4.7-liter's output to 265 hp. The Land Cruiser has long remained Toyota's flagship, and its luxury content has increased exponentially. But its mission has stayed consistent: providing excellent off-road capability with unparalleled reliability and durability. Not what thay use to be. May 2018: I recently had to upgrade my almost new Land Cruiser VX with only 20k on the odometer. The reason, well the Toyota dealer stuffed up and ruined the engine. I wont say how as this would be very... May 2018: I recently had to upgrade my almost new Land Cruiser VX with only 20k on the odometer. The reason, well the Toyota dealer stuffed up and ruined the engine. I wont say how as this would be very embarrassing for the dealer and Toyota. The dealer upgraded me to a new VX but wait....... No VX emblem on the rear tailgate, Toyota must have saved at leat $2 for the chrome ABS emblem, and guess what, $17 at the dealers shop. Thats not all, hey theres no auxiliary or second battery under the bonnet. If you want one I'm told that it's an optional extra. Not bad for a $110k vehicle. Toyota Land Cruiser 2018 is the final facelift for the 200-Series Land Cruiser before an all-new model comes out in a few years. The 200-Series Land Cruiser features a brand new design with the same basic body... Toyota Land Cruiser 2018 is the final facelift for the 200-Series Land Cruiser before an all-new model comes out in a few years. 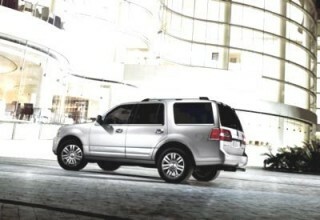 The 200-Series Land Cruiser features a brand new design with the same basic body shell shape. The car features a raft of performance and efficiency upgrades compared to the previous generation with a brand new gearbox and a cleaner more economical range of engines.The Toyota Land Cruiser 2018 is available in 3 different variants VX 4.6, GX-R and VX 4.5D. The price of the 200-Series Toyota Land Cruiser is not competitive when compared to other models in the same class. Yes this truck is not as flashy as an Escalade, it's understated elegance. It's nice to not see many around, but for those that know what a land cruiser is, they understand what they're getting. The LC is... 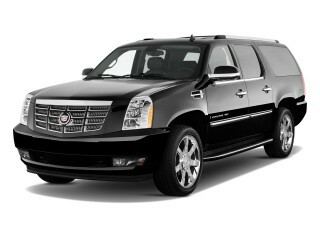 Yes this truck is not as flashy as an Escalade, it's understated elegance. It's nice to not see many around, but for those that know what a land cruiser is, they understand what they're getting. The LC is extremely quiet, the fit and finish is amazing and far exceeds any domestic truck, and of course you're buying a truck that is way over engineered for the suburbs. If you're worried about fuel economy...well...it's not the best, but if you're worried about mpg on any big SUV you probably shouldn't be looking at them. I do wish there was a little more storage behind the third road. Overall, this is an amazing truck, it's built like a tank, but drives like a sedan. We will use the off road capabilities in the mountains. One other thing, the resell value of the LC's far exceed its competition.